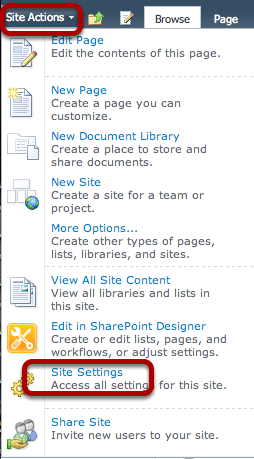 By default, only the site collection administrators have access to the SharePoint site. Once the administrators are set up, users can be set up and given access to the site. 1. 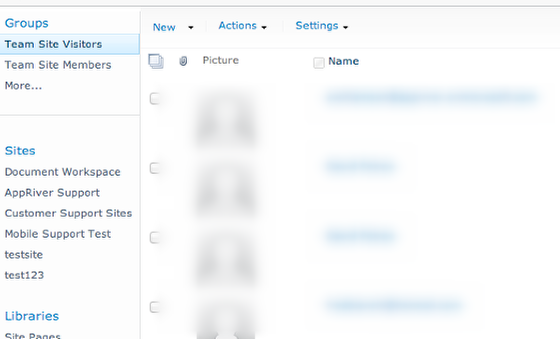 On the top left, click the Site Actions drop-down arrow, then click Site Settings. 2. 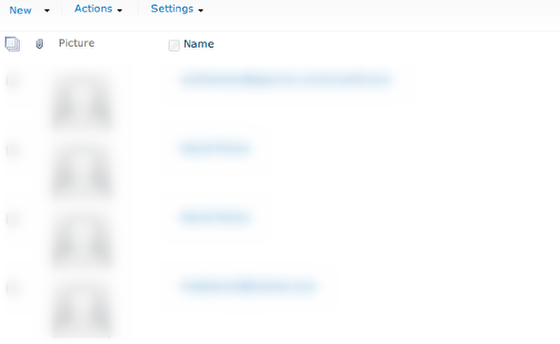 Under Users and Permissions, click People and groups. 3. In the next window, add the users to the groups that have the permissions the users will need. Each site usually has three groups (visitors, members, and owners), and each group has specific permissions per site. Click the applicable group on the left to add the users, then click New, and then click Add user to this group. 4. Click the Address Book to locate the users. The Grant Permissions dialog box should appear. If not, ensure the pop-up blocker is turned off. 5. Four groups should be displayed in the dialog box. 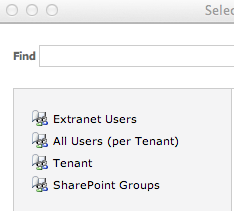 If users are being added, click the Tenant group. 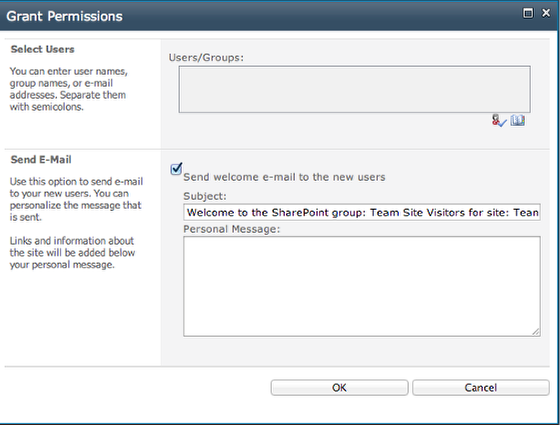 (If adding SharePoint groups, click SharePoint Groups.) Once the group is selected, type the name in the Find text box and click ENTER or the magnifying glass. 6. Once the user is found, click the user and then click Add. Repeat the search until all the users needed for that group have been added. When all users have been added, click OK.
7. The Grant Permissions dialog box will appear. From here, review and ensure that all added users are displaying in the correct groups. If they did not add successfully, click the Address Book and search again; if they are all added, a welcome e-mail and personal message may be sent. 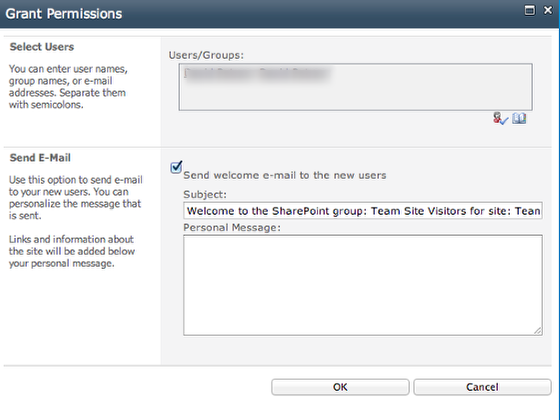 [Note that if it is SharePoint only, the users' e-mail addresses must be set up first. (See Manually Edit the User's E-mail Address.)] Then click OK.
8. All users added to that group should be now displayed in the list.